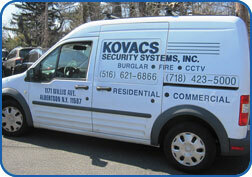 Kovacs Security Systems is a local company providing security services with a focus on protecting your property. Being an owner operated company; our focus is on customer satisfaction. In order to offer superior quality of service, we focus on a limited geographic area in and around the Greater New York Metro Area, Long Island including Nassau and Suffolk County, and the Five Boroughs. Our customers are a mix of residential, commercial, institutional, and property management organizations. As security consultants our job is to meet your needs. We can design a system that fits your individual requirements and then install, maintain, and manage the system in the most economical way possible. 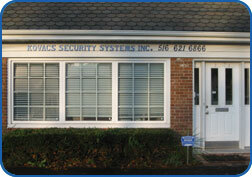 Our monitored security systems provide your home or business with the highest levels of protection available. Whether you need a budget system or the most sophisticated system available, Kovacs Security Systems can design a system to fit your needs. With more than 35 years of experience in the industry, our goal is for you to receive excellent service by a local company positioned to work around your schedule. Give us a call for an estimate.